1- Northeast Regional Epilepsy Group and Atlantic Health System bring the Rosa System to persons living with epilepsy in the tri-state area. 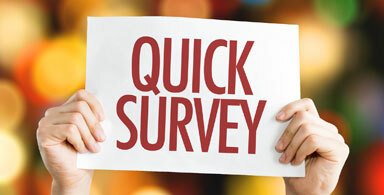 5- Epilepsy Survey results: Test your knowledge by responding to the following question: What do you use to alert others about your epilepsy (if you use more than one method, choose your favorite). Northeast Regional Epilepsy Group and Atlantic Health System bring the Rosa System to persons living with epilepsy in the tri-state area. Today, we sat down with epileptologist, Dr. Jeffrey Politsky, Associate Director and Co-Director of Research of the Northeast Regional Epilepsy Group, Medical Director, MEG & Functional Brain Mapping Center, and Atlantic Neuroscience Institute Epilepsy Center. 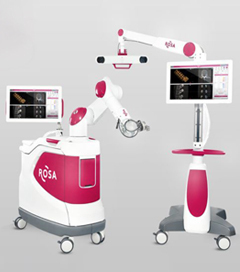 We asked him about a new and groundbreaking robotic device (ROSA®) that will soon be available to persons with epilepsy at Atlantic Health System hospitals. In this issue Seizure Stars are John and Angel Dougherty. Angel lives with Psychogenic non-epileptic seizures (PNES); she and her husband have worked tirelessly over the past 2 decades to find a cure for her and to raise awareness about PNES. 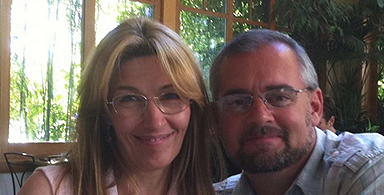 In fact, they created the first US website on PNES and John also wrote a book that is a guide for patients and loved ones "Lowering the Shield: Overcoming Psychogenic non-epileptic seizures." For these reasons, Angel and John Dougherty are our Seizure stars this issue. 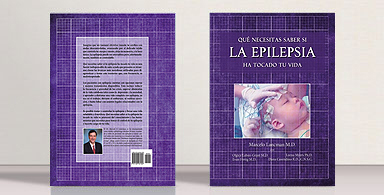 This is the Spanish translation of "What you need to know if epilepsy has touched your life: a Guide in plain English" written by Dr. Marcelo Lancman. The book came about because he wanted to provide his patients with a clear and concise explanation of everything they might encounter on their journey with epilepsy (e.g. diagnosis, seizure and epilepsy types, treatment options, special topics, etc.). With every issue, we aim to highlight products that are involved in seizure safety or are somehow related to epilepsy. In our December issue, we are featuring a bracelet that is used by children to keep their VNS magnet handy while still being stylish and playful. We asked Denise all about her innovative bracelets that she started making for her own children and which has now become a personal business. Epilepsy Survey results: Test your knowledge by responding to the following question: What do you use to alert others about your epilepsy (if you use more than one method, choose your favorite). 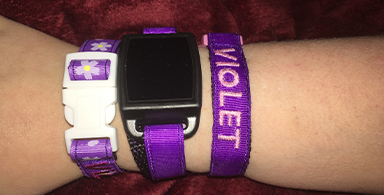 Epilepsy Survey results: Make your voice heard: What do you use to alert others about your epilepsy (if you use more than one method, choose your favorite). Throughout fall, our doctors, office managers, secretaries and nurses have all been extra-busy raising epilepsy and seizure awareness through 1) organizing the upcoming annual Northeast Regional Epilepsy Group conference, 2) attending professional meetings and giving lectures, 3) receiving awards, and 4) going on Epilepsy Walks that benefited the Epilepsy Services of NJ. 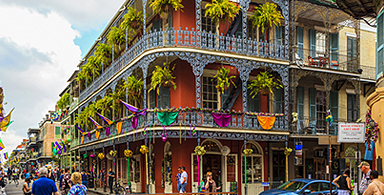 We strive to keep moving all year long in the march against epilepsy and seizures and this upcoming year is no different with two major events that are happening early in 2019. One is of course, International Epilepsy Day and the other is the National Epilepsy Walk that will take place in Washington, DC. Click on this link to read more about these.